The late Sir Edmund Hillary, conqueror of Mt. Everest, once said while visiting Benares, India that “India is intoxicated with God.” Having visited hundreds of Hindu temples, holy rivers, sacred trees, caves, rock carvings, ancient religious murals and deified mountains in India on our numerous visits, we whole heartedly agree with the great mountaineer. How did this unusual phenomenon happen? 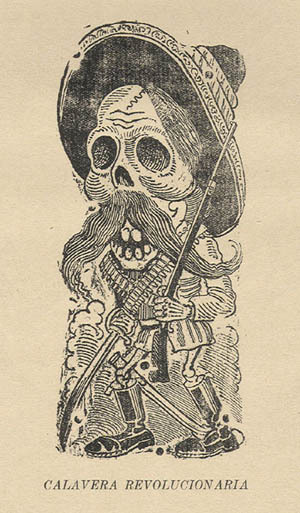 Well, it started in the town of Aguascalientes in the 1871 when a young lithographer and engraver named Jose Guadalupe Posada began work at a local newspaper as a political cartoonist. 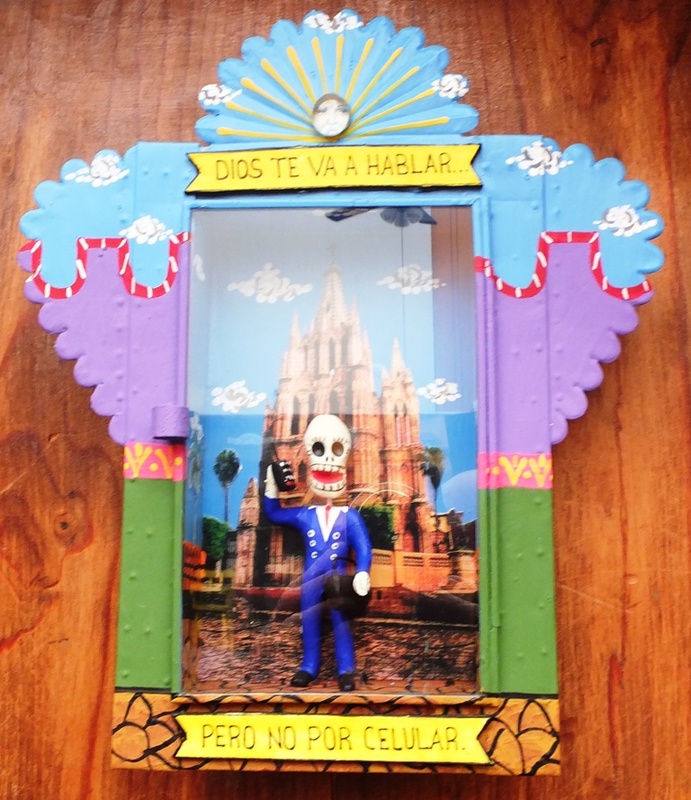 Soon he took his talents to Mexico City where he found work at a well-respected publishing company. His forte was creating and publishing sensational broadsides mostly related to politics, politicians and current events. In Mexico in those times, printing embarrassing, humiliating or sensational cartoons featuring real people could get the maker into a great deal of trouble. 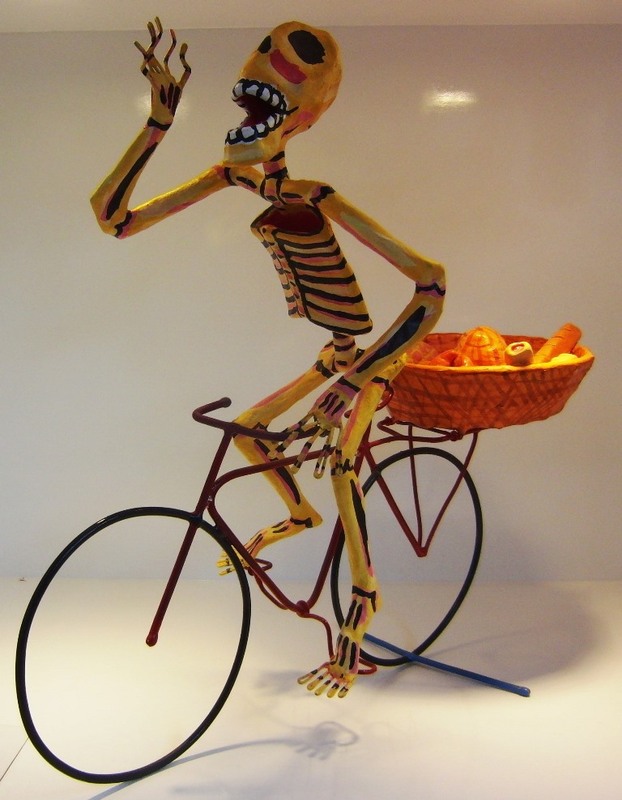 So Posada substituted Calaveras or drawings of skeletons as living people acting out the news. This way he avoided lawsuits, jail or worse. Needless to say, he was a very popular cartoonist for taking on crooked politicians, the rich, the Catholic Church, the military and many more. With his death in 1913 his Calaveras died with him. 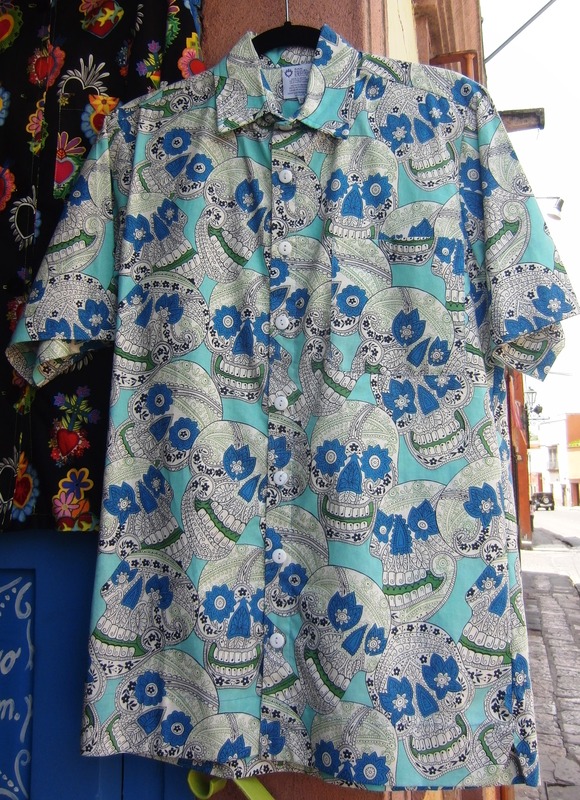 But the Calaveras were reincarnated as the celebration of the Day of the Dead (October 31) became more popular in the Hispanic community. 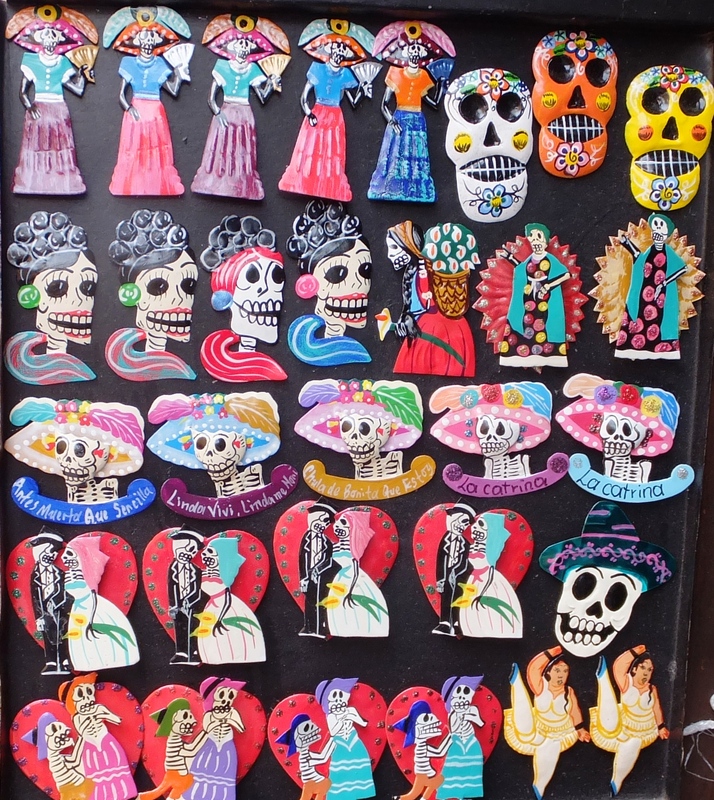 First came decorated sugar skulls, cakes and other baked delights to offer to the dearly departed and then consumed by the living. 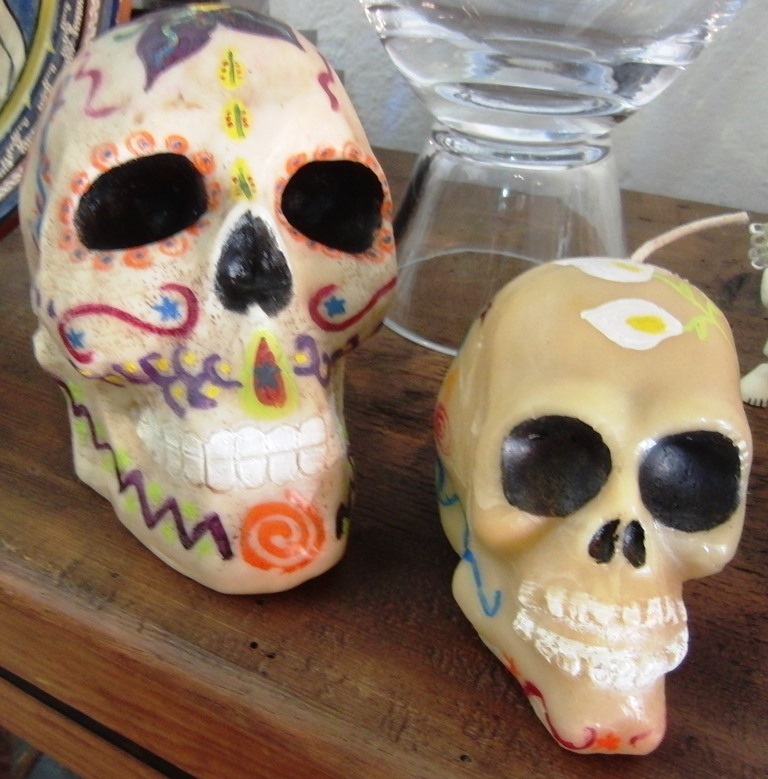 From this tradition the Calaveras phenomenon went viral. 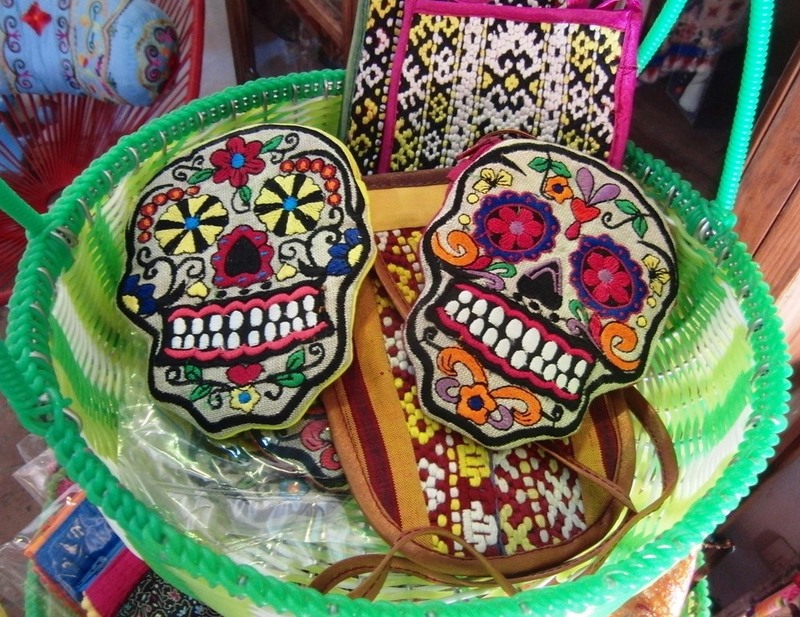 It was no longer only for the Day of the Dead, it was for every day. One could buy clay statue skeletons involved in everyday activities, skull candles, paintings, tin figures, posters, t-shirts and dinner plates. 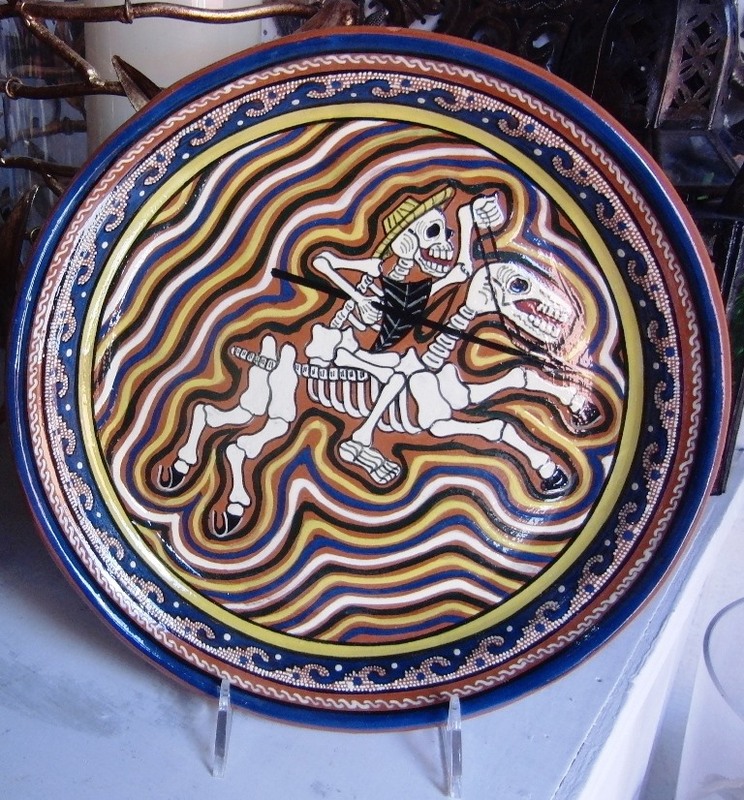 As time passed it was only limited by the imaginations of the thousands of artists and others to create new Calaveras involved in different activities.